Have you noticed that you get an uneasy feeling down inside of you when you say or do something wrong? This is your conscience. 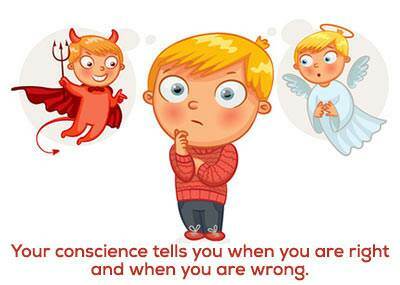 Your conscience is like a little voice inside of you that tells you when you are right and when you are wrong. You must learn to listen to your conscience because this is one way God speaks to you. When we are right with God and right with others, our conscience will tell us that we are right. We will have a clear conscience. 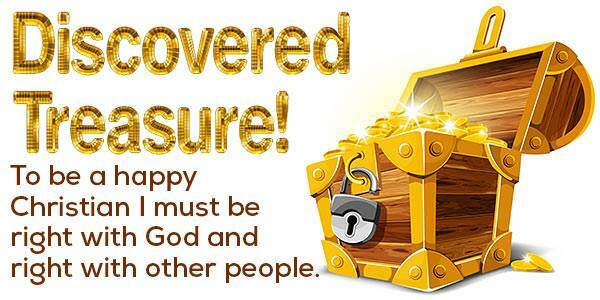 To be a happy Christian, we must have a clear conscience. 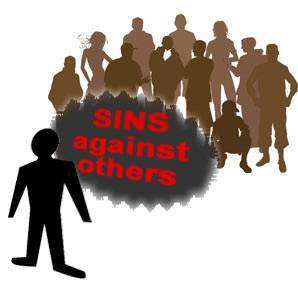 When we sin against God or sin against another person, our conscience will tell us that we are wrong. We will have a guilty conscience. If we want to get rid of our guilty conscience and have a clear conscience again, we must make things right with God and with the people we have sinned against. When we do this, once again we have a clear conscience and we can be a happy Christian. What does this verse say? It says that if we confess our sins to God, He will forgive us and cleanse us. God forgives our sins because He sees the blood of His Son which was shed for them. Once again we are clean in God's sight and we have a clear conscience. To have a clear conscience, we must make things right with God. To have a clear conscience, we must not only make things right with God, but we must also make things right with the people whom we have wronged in any way. When we hurt someone by something we say or do, this is called an offense. When someone has an offense against us, it means that we have wronged them in some way. Have you lied to someone? Have you ever stolen from someone? 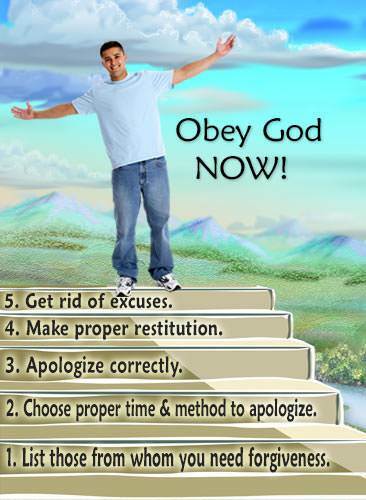 Have you talked back to your parents or disobeyed them? Have you hurt someone by something you said? 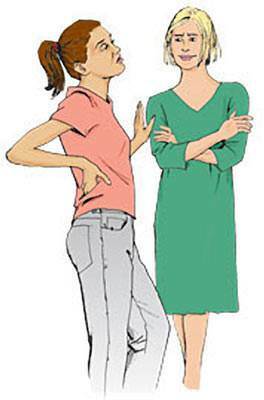 Have you been mean to others in your family—your brother or sister? Have you acted ugly or disrespectful toward your teacher at school? Make a list of the wrong things you have done. Begin making a list of the wrong things you have done and the people you have hurt or offended. Write down every offense you can think of. Do not be in a hurry. Some things will come to your mind quickly. It may take time to think of other offenses. When you have completed your list, it may look like the picture here. Go to the person and apologize. 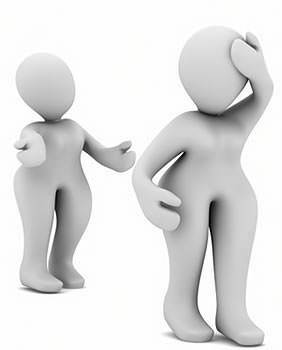 When we apologize to someone, we should say what we did wrong and ask the other person to forgive us. We should not try to blame someone else. Many times when a person apologizes to someone, he does it in a wrong way. 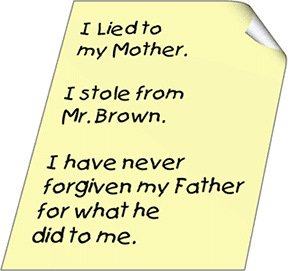 If you apologize in the wrong way, the offense is not cleared up and it will still be on your conscience. "If I did anything wrong, I'm sorry." This apology is not a correct one because you have not really admitted that you did anything wrong. You have not said what your offense was or asked for forgiveness. "I was wrong, but you were wrong too." This is wrong because you are trying to excuse yourself. You must take full responsibility for what you did, regardless of what the other person did. "I'm sorry I lost my temper, but you made me do it." This is wrong because you are blaming the other person for what you did. 1. Say what you did wrong. 2. Not blame anybody else. 3. Ask the person to forgive you and wait for his answer. "Brian, I talked ugly to you the other day. Will you forgive me?" This is the right way to apologize. If we have stolen from someone, we must make things right with him. It is not enough to say, "I am sorry that I stole from you. Please forgive me." We must also return what we have stolen or pay for it. 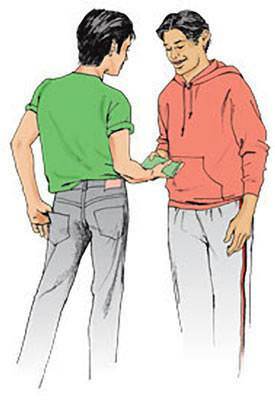 If you stole money, pay it back. If you are not able to do this immediately, make arrangements to pay a certain amount each week until it is paid back. Be sure to keep your word and do what you promised to do. "I'll do something special for that person to make up for my offense." You cannot say, "I know I talked ugly to my mother, so I'll help with the dishes tonight to make up for it." This will not clear up your offense. If you talked ugly to your mother, you need to go to your mother and ask her to forgive you. Then, if you want to do something special for her, that is fine. "I was wrong but the other person was wrong too." That may be true, but you are still responsible for what you did that was wrong. The other person may have been more in the wrong than you were, but you are still responsible for your part. When you apologize for your part, perhaps the other person will apologize for his part. Even if he does not, you have done what was right for you to do. 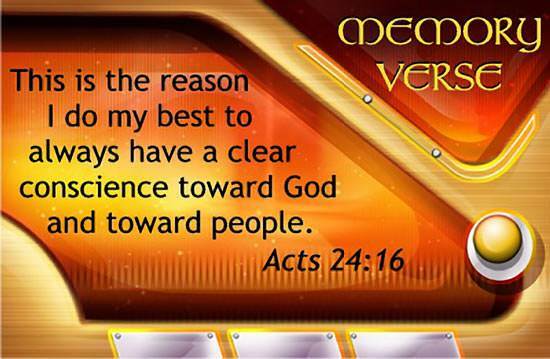 In this verse Paul said that he always tried to have a clear conscience toward God and toward other people. We should do this also. 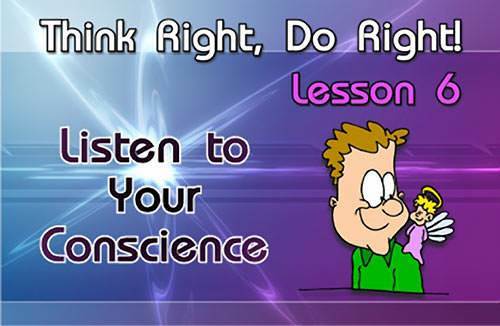 If your conscience tells you that you are wrong, listen to your conscience! 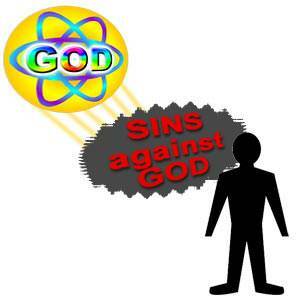 Make things right with God by confessing your sins to Him. Make things right with other people by apologizing and asking for forgiveness. No one should be able to say to you, "You did me wrong and you never apologized or tried to make things right with me."